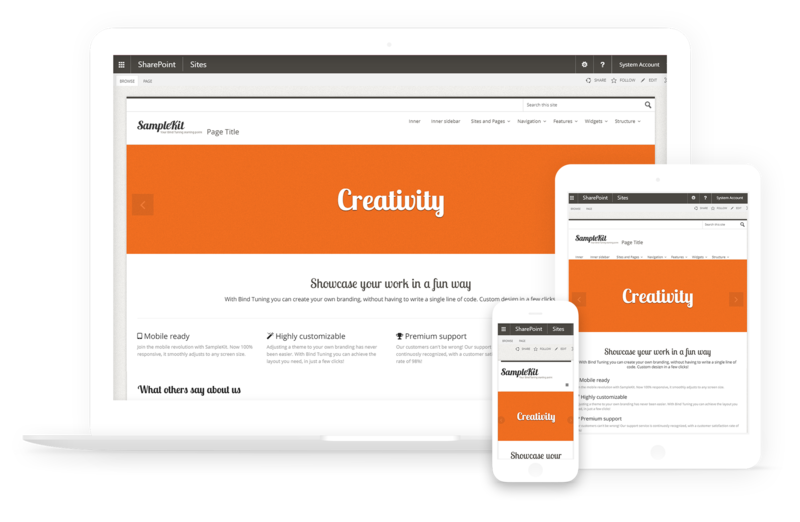 A model of simplicity, loaded with the features your intranet content needs. SampleKit is the ultimate minimalistic theme designed with simplicity in mind. Packaged with multiple page layouts, plus regular navigation, horizontal and vertical, Megamenus and a cool vertical accordion. CSS styling gives you the flexibility to create a great website.